As with most of our clients, this is most likely the first time you will have hired an attorney. Bankruptcy is more than just filling out forms. Choosing the right approach and the right attorney will insure that everything you worked hard for is protected and you get back on your feet fast. Our free consultation will help you understand your options. When you hire our offices to represent you, Richard A. La Cava will be your legal representative in your bankruptcy and we will not only guide you through the bankruptcy process but we will also complete all the legal documents required by the court. Through the length of your bankruptcy, we will represent you to your creditors - so they call and send their notices to us not you. Bankruptcy Can Do A Lot For You. Bankruptcy can stop a foreclosure on your home, eliminate your second mortgage, reduce tax levies, eliminate your debt, avoid repossessions, end threatening phone calls, and much more. Bankruptcy represents a new start for people whose financial burdens cannot be remedied on their own. Bankruptcy is more than just filling out forms — choosing the right approach is vital. Our offices will protect the things you worked so hard to earn, and we will get you back on your feet fast. Since each one of our client's financial circumstances is as unique as yours, you will receive expert bankruptcy guidance tailored to your individual situation. Once you have completed your free consultation and you have decided to proceed with your bankruptcy, relief is in sight. All you have to do is call our office. We will set a date on the calendar for you to come in and sign your contract. From that point through the length of your bankruptcy we will be representing you and looking out for your best outcome. Immediately the benefits of bankruptcy fall into place to protect you. Creditors must now call our offices (since we represent you) and cease calling you. We offer a free consultation with our attorney. This is a great opportunity for you to learn about how bankruptcy may work for you. There is no pressure to hire us or to go forward with a bankruptcy. You may ask any questions you like during your 45 minutes with Richard A. La Cava. Your consultation will not focus on general information, but will be an evaluation specific to your current situation. You will bring in documentation of your bills, if you have a home you will bring documents about your home and mortgage, recent paystubs to document your earnings, and your tax documents. The specific list of documents will be confirmed in your phone interview prior to your consultation. In your phone interview we will ask you about 10 questions. 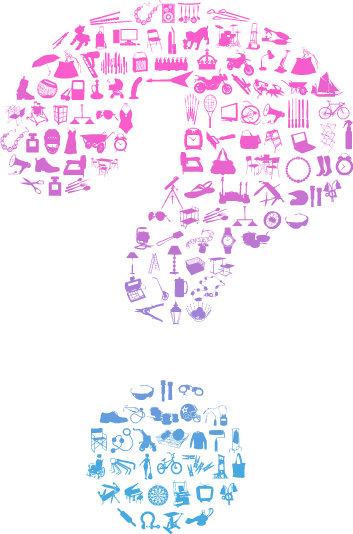 These questions determine if our office can represent you. For example if you live outside of California, we may not be able to represent you in a court located within California. If it is possible for our offices to provide representation to you, we will give you a short list of documents for you to bring with you. You will then select a date on the calendar for you to meet with Richard A. La Cava for your free consultation. Is A Consultation Worth Your Time? It certainly is! Did we say it's free? It is. Maybe you aren't sure if you want to file for bankruptcy, but if your situation worsens, filing might become an option. During your consultation, a good topic to discuss might be which debts you should attempt to pay down first. Knowing the difference between how secured, priority, and non-priority secured debts are handled in bankruptcy could help you decide how to go forward. The attorney can advise you on the particulars of your situation. Maybe you or your spouse is pregnant. Should you file before or after the birth of your child? Well, depending on the state of your debts, it might be adviseable to wait until after the birth incase debts are encurred during the birth. Debts which come after you file for bankruptcy would require your bankruptcy to be amended to see if they could be included. The attorney will explain, relative to your particular situation, the pros and cons of filing now or waiting. Maybe both you and your spouse are considering bankruptcy. If you jointly file for bankruptcy, all debts might be included in your bankruptcy. But maybe it is possible for one of you to file and not the other, thereby leaving one of you with much better credit. Although the spouse who does not file will not receive bankruptcy protection, filing for bankruptcy as an individual might make sense depending upon with whom the debt rests, and what type of debt it is. As you can imagine there are a lot of factors to consider before you choose to file or not. A free consultation will be well worth your time. You will be meeting with Richard A. La Cava in our Noe Valley Offices during office hours: generally M-F 8-5, Sat 9-5. Of course, we also offer Saturday appointments. Fill out the form in the left sidebar of this page. You can also Call Us at (415) 282-8960. If this is your first call to our offices, leave a couple minutes open so we can ask you a few questions about your situation. If you choose to meet with us for your free consultation, we will ask that you bring with you a short list of documents, and finally you will choose a date on the calendar for your meeting. Easy! Do you know the difference between a Homestead Exemption, and an Automobile Exemption, and a Wildcard Exemption? Which Exemptions should you chose to file? Do you know how the value of one exemption can effect the value of another exemption? No? Why should you! This is why you hire a successful attorney with years of experience. The goal of your bankruptcy is to allow you to recover from your financial burden quickly and efficiently. You need a professional on your side. Planning the best path through bankruptcy is not a simple task. From the very beginning - in your free attorney consultation - we will help you understand your choices, help you avoid bad ramifications, and advise you about the best bankruptcy options. For over 25 years we have formed bankruptcies which have prepared our clients for a new fiscal life. Our goal is to place you in a position to ensure your financial recovery. There are about 8 general steps in a bankruptcy that require action on your part. There are actually many other steps, but these are taken by our offices on your behalf. When we represent you in your bankruptcy, we complete petitions, court filings, attend hearings with you through the length of your bankruptcy. Depending on your situation we will ask you about 20 questions over the phone. These questions are simple ones which will determine if we can represent you. For the first question, we will ask you where you live. If, for example, you reside outside of California, we may not be able to represent you. During this interview we will also ask some questions about your financial situation and ask you to make estimates or guesses to your best knowledge about how much you owe. The goal of the interview is to determine if we can represent you, and based upon the information you give, to give you an estimate for the cost of your bankruptcy. You will be asked to collect some basic documents about your earnings, home, and any letters you have received from people you owe. At the end of your phone interview (most interviews take less than 12 minutes) we will coordinate a place on the calendar for you to meet with the attorney. We can schedule appointments Monday through Friday between the hours of 9:00AM and 11:30AM, and between the hours of 2:00PM and 6:00PM Monday though Thursday, but just until 5:00PM on Friday. We accept appointments for Saturday between 9:00AM and 4:00PM. Your initial consultation with our office is free. We will ask that you bring your collected documents with you when you meet with Richard A. La Cava. In this meeting you may ask what ever questions you like and the attorney will advise you about what options are available to you, and what choices will put you in good stead. The attorney has many years of experience from which to draw upon when advising you. There is no pressure and no obligation in your consultation. This is an opportunity for you to learn about your choices and to see if a bankruptcy can help you. You may take as long as you wish to make a decision. Maybe bankruptcy is an option only if your situation worsens, but things have a good chance of getting better. In such situations you may have time on your side. In other cases, you may choose to seek bankruptcy relief sooner rather than later. Our offices will not contact or pressure you. The choice is yours to make in the time frame you decide. After the consultation you will be free to think about the options Richard A. La Cava has given you. 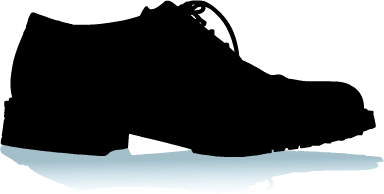 Once you are ready to start the process we will review our retainer agreement with you. This is a standard agreement that outlines what we will be doing for you in the bankruptcy process. Unlike high-volume bankruptcy processors, we take care of everything – court appearances, dealing with your creditors, and all the filings with the court. We prepare all of the necessary paperwork for your bankruptcy petition. The information that you bring to your free consultation should be everything we need. Our office can file your bankruptcy petition instantly over the internet, giving you immediate protection from creditors, even before the court reviews your case. Together we attend the initial hearing for your petition. Your hearing is called a Meeting of Creditors. This is normaly the only court proceeding you must attend. We will handle any other court appearances or filings on your behalf. 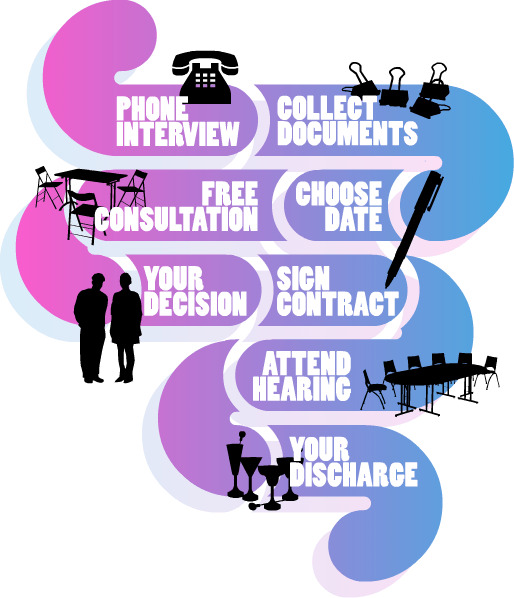 Your hearing is usually held in a conference room and the agent of the court will simply ask you a few basic questions, such as your name, employment status, and if all of your debts are included in the petition. In Chapter 7, 60 days following the bankruptcy hearing you will receive a discharge order from the court which will wipe out your debts. In Chapter 13 or Chapter 11, your debts are cleared following the completion of your scheduled repayment plan. If you file for bankruptcy, your spouse does not have to file with you. However, your spouse will not get the benefits of bankruptcy. Under Chapter 7 if your spouse does not file with you, then your spouse will remain liable for joint debts and community property debts. However, your spouse will not have a bankruptcy noted on their credit report. Your spouse’s income and employment will have to be disclosed in your bankruptcy petition. Chapter 13 if your spouse does not file with you, then your spouse would remain liable for any amount not paid in your Chapter 13 plan. Your spouse will not have a bankruptcy noted on their credit report. Your spouse’s income and employment and any assets will have to be disclosed in your bankruptcy petition no mater which chapter you file. Well, prior to your free consultation it's hard to say. State wide comparisons, however, show most people sell their homes after they enter foreclosure. Some people are able to get back on their feet and the foreclosure is cancelled when they get a loan modification or catch up on their payments. Some forfeit their home back to the bank. Your bankruptcy can change your outcome. It is possible through bankruptcy to completely remove the amount you own on your second mortgage. As Soon As You Hire Us. 52,000 foreclosures were completed in April 2013, a 16 percent year-over-year decline from 62,000 in April 2012. By comparison, prior to the decline in the housing market in 2007, completed foreclosures averaged 21,000 per month nationwide between 2000 and 2006. On a month-over-month basis, completed foreclosures were flat. Completed foreclosures are an indication of the total number of homes actually lost to foreclosure. 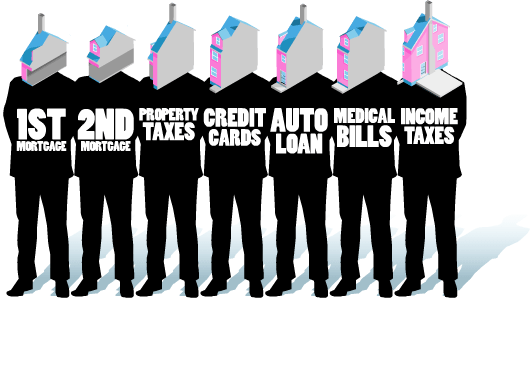 SINCE THE FINANCIAL CRISIS BEGAN IN SEPTEMBER 2008, APPROXIMATELY 4.4 MILLION FORECLOSURES HAVE BEEN COMPLETED. These numbers are not good, but bankruptcy can mean the difference between saving your home and loosing it to foreclosure. The best part of bankruptcy is the automatic stay. Filing for bankruptcy grants you an "Order for Relief" which sometimes called an "Automatic Stay." [Maybe you have met our aautomatic-stay monster?] The Order for Relief immediately stops most creditors from trying to collect what you owe them. This includes wage garnishments, seizure of bank accounts, SALE OF YOUR HOME, termination of utilities, repossessions, and many other painful actions. An End To Mean Phone Calls. We know you get harassing phone calls, and opening your mail can be a dreadful task. Unfortunately, ignoring the nasty calls and threatening notices will not improve your situation. When you hire us, mean behavior by the people you owe must stop. The court does not allow related lawsuits, foreclosures, repossessions, or any other creditor harassment of you to continue. Your debts are basically frozen until you receive a judgement. From the moment you hire us, creditors cannot harass you. They must call and send their notices to our offices. It becomes our duty receive communications from your creditors who have been included in your bankruptcy. Help! Sharks Are At The Door! If you have received a Notice of Default and / or a Notice of Trustee Sale on your home, you may be running out of time. Our offices can perform a Rush Filing on your behalf. If you are in this position, delaying action or inaction could have devastating results. It is most likely that you should have a bankruptcy professional, like our office, step in on your behalf as soon as possible. What about Debt Consolidation Companies? Well, we have had lots of clients who have been working with Debt Consolidation Companies, sometimes for years. Our impression is, for these people, such services did little to improve their financial situation. But don't take our word for it, in our experience the success rate for a debt management plan is between 20 and 30 percent. You can google "debt consolidation success rates" yourself. The information you will find may be largely depressing. One of the advantages available to you in Chapter 13 bankruptcy is what is known as lien stripping. Say that the value of your home is $100,000.00 and you have a first mortgage for $200,000.00 and a second mortgage for $50,000.00. 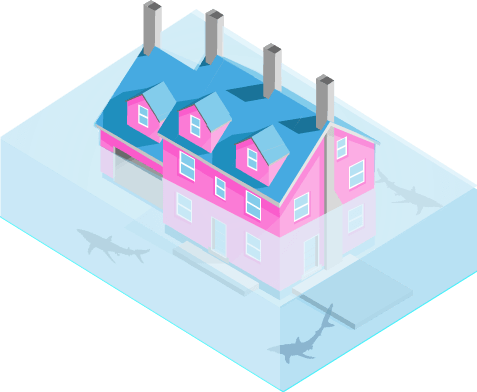 Such a home is commonly described as being underwater because the value of your home is less than the amount of your first mortgage. If you are in this situation, it may be possible for our offices to allow your bankruptcy to include a lien stripping. This would erase your second mortgage completely and you would no longer owe any money on the second! Bankruptcy Will Not Affect Your Job. Federal law prohibits any employer — even governmental or private employers — from discriminating or taking any adverse action against you because of your bankruptcy. As long as you don't claim your employer as one of the people you owe — because most people don't owe their employer — they won't even be notified of your case. Privacy laws prevent your attorney or his office from divulging information about your case. Naturally we speak to the people you owe in the course of representing the dismissal of your debt, and we speak to the court and your trustee in the filing and maintenance of your case, but that's usually the only parties with whom we discuss your debt. Will Bankruptcy Stop A Wage Garnishment? In short, Yes. And it is possible for some of the garnished money to be returned. It depends on how much was garnished and when it was garnished. When you meet with Richard A. La Cava, he will be able to advise you whether to expect any money to be returned to you. This bankruptcy filing allows your to restructure your debt. You will be paying a percentage of your total debt over a several year period. This bankruptcy filing is a liquidation of your assets. You will be surrendering items which you can no longer afford. If your assets are not exempt the Chapter 7 trustee can sell them. There is no payment plan over time, the liquidation is used to meet your debts. This bankruptcy filing is required if your debts are over a million dollars or so, or if you have significant financial assets which you want to protect. You will be paying a portion of your total debt over a several year period. Which chapter should you file under? Well, in short, if you have less than $1,010,000.00 in secured debt, then your options are probably a Chapter 7 or a Chapter 13. To qualify for a Chapter 7, you will have to pass a Means Test. This test determines if the court believes you are in a financial position to repay some of your debt. If you are able to pay back some of your debt, then the court will ask that you file a Chapter 13 to pay some percentage of what you owe. If you do not have the resources to repay, then you will be filing a Chapter 7. Our offices can determine which Chapter you qualify for and which is best for you. Northern California Bankruptcy Filings in 2014 by Chapter. If you have an approved Chapter 13, for example, and your financial situation worsens such that you are no longer able to make your payments to repay your debt, a couple of options are available to you. The first is that you may ask the court to reduce your payments to an amount you can afford. Our offices can help you with this sort of proceeding. This is called a Plan Modification. The second is that if your situation now allows you to qualify for Chapter 7 bankruptcy, our offices can represent you if you wish to convert your case to a Chapter 7. This is called a Bankruptcy Conversion. Which Do Most People Choose? 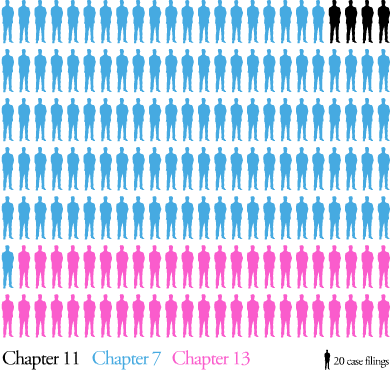 Most people file for Chapter 7, many choose Chapter 13, and comparatively only a few file for Chapter 11, and very few file for Chapters 12 or 15. Wait, Aren't There Other Chapters? Yes. In addition to Chapters 7, 13, and 11, there are also Chapters 12 and 15. Most people do not file under these chapters. You may file for Chapter 12 if your profession is a family farmer or a family fishermen and you have a consistent annual income. This chapter allows financially burdoned family farmers and fishermen file a plan similar to a Chapter 13 to repay all or part of their debts. Under chapter 12, you have an installment plan with which you will repay people you owe over three to five years. You may file for Chapter 15 if your case involves parties of interest in more than one country. Generally, a chapter 15 case is an offshoot of a proceeding brought in another country, typically your home country. Under chapter 15, a U.S. Court may authorize someone like a trustee to act in a foreign country on behalf of your bankruptcy case. What Happens To Your Possessions. If you decided to file a Chapter 7 we will review all of your possessions and compare their value against the exemption laws to see if your assets can be fully protected in Chapter 7. Otherwise the Chapter 7 trustee may try to liquidate (sell) your assets. Most people filing for Chapter 7 can fully protect all of their assets from liquidation. If you file a Chapter 13, none of your assets are subject to being sold to pay your debts, however if your possessions are not fully exempt or protected under the exemption laws, then this can effect your Chapter 13 repayment plan. The result could require you to make higher repayments through your plan. As an example, if your property is valued at $30,000.00 and your bankruptcy can only protect $21,800.00 of the total value, then in Chapter 13 you might have to pay unsecured creditors $8200.00 over your 5 year payment plan. If, instead of owning $30,000.00, you owe $50,000.00 in unsecured debt, then your plan would still pay only $8200.00, and the rest could be forgiven. Most people filing for Bankruptcy keep their car. If you have a loan on your car - and you are current on the payments - then you can continue to make payments and file under Chapter 7. If you are filing under Chapter 13 your car payments become part of your Chapter 13 repayment plan. If your car loan is over 2.5 years old you may be able to reduce the amount you repay on your car loan by filing under Chapter 13. If you have a car, but no car loan, then depending on the value of your car, it might be claimed exempt under Chapter 7. If the value of your car is over the exemptions allowed, then you may choose not to file for Chapter 7, and instead file under Chapter 13 to protect your car. If you intend to keep your home, but are looking for help making payments or reducing the amount you owe on the property, then you might be looking to file for Chapter 13. There is a lot of good advice out there about avoiding foreclosure, but if you are in limbo waiting for a mortgage modification, or once you are in foreclosure, time may not be on your side. The faster you act, the more options you may have to choose from. If you owe more on your home than it is worth, or if your financial situation has changed such that you do not foresee being able to afford your home, then a Chapter 7 might be an avenue to consider. The court will liquidate the property on your behalf to meet your debts and thereby remove the burden from you. Bankruptcy will give you a clean start. Bankruptcy Laws Changed In 2005. Bankruptcy legislation, designed to prevent abuse and require people who file for bankruptcy to pay debts they can afford, went into effect on October 17, 2005. This legislation made it a bit more difficult to erase debt and receive bankruptcy protection in Chapter 7 and Chapter 13. Under the new law, fewer people have been permitted to file for Chapter 7 bankruptcy, resulting in more filings for bankruptcy under Chapter 13. The two main changes to the law which directly effect those filing for bankruptcy are the Means Test and Mandatory Credit Counseling. One of the most significant changes in the 2005 bankruptcy legislation is the Means Test. The means test is a two-part examination used to determine whether a you have enough future income, on top of the income you need to survive, to pay back a percentage of your debt. If you make enough money to pay off a percentage of your debts, you will not be allowed to file for Chapter 7 bankruptcy. Prior to October 2005, under the old bankruptcy law, judges had the ability to use discretion in allowing people to file for Chapter 7 bankruptcy. The First Half of The Means Test. A formula will be applied to your financial situation that exempts some living expenses, such as rent and food, to determine whether you may be able to afford to pay 25 percent of your non-priority unsecured debt (such as credit card debts.) If you can afford to pay 25 percent of your non-priority unsecured debt, then you will not be permitted to file for Chapter 7 bankruptcy. The Second Half of The Means Test. In the second half of the means test, your income is compared against your State's median income. If your family's combined gross income is greater than the median family income in your State, then you may be required to file for Chapter 13 bankruptcy with a repayment plan, as opposed to filing for Chapter 7 bankruptcy to erase your debts. You can find the Median Income for Your State on the U.S. Trustee's website. In short, the means test will prevent you from filing for Chapter 7 bankruptcy if your income is above your state's median or if you can afford to pay 25 percent of your non-priority unsecured debt. There are exceptions for special circumstances. In qualifying cases of special circumstances, the bankruptcy judge may allow you to file for Chapter 7 bankruptcy, even if you do not qualify under the means test. Is there a Chapter 13 Means Test, too? Yes. To figure out which chapter you may file under, the Means Test determines if you can afford to make repayments through a Chapter 13 plan. If you can not afford such repayment, then you may file for Chapter 7. Within Chapter 13, the Means Test is used to determine how long you can take to repay your Chapter 13 Plan (typically between 3 and 5 years) and also how much you have to repay your unsecured creditors. Chapter 7 and Chapter 13 bankruptcies require you to attend a credit counseling course. The course may be done online. Our offices can direct you to such an approved course. The course must be completed before you can file for bankruptcy. It will not take you very long, and you may learn some useful things about how credit can affect your life. In order to qualify to file Chapter 7, you must reside, have a domicile, a place of business, or own some property in the United States. You should not have received a bankruptcy discharge within the last 8 years, or had a bankruptcy case dismissed for cause within the last 180 days. If you would like to file Chapter 13, you should not have received a bankruptcy discharge within the last 4 years. If you file a Chapter 13 with the 4 years after a discharge, you will not receive a discharge in the new Chapter 13. Since it is likely that you will be making payments to the trustee's office for several years, you should be able to show that you have a steady source of income. Finally, you cannot have secured debts that exceed $1,010,650.00 or unsecured debts that exceed $336,900.00. If you do, then you might be a candidate for Chapter 11. In addition to the Means Test and Mandatory Credit Counseling, Congress also enacted changes intended to reduce or eliminate the effect of a bankruptcy for serial filers. If you have filed for bankruptcy before, however, do not fear filing again. The usefulness of another bankruptcy may be affected by the time between bankruptcy filings. In your free consultation, you will be advised about how to best situate yourself for a second bankruptcy. Although the rules are complicated, in short, your Bankruptcy Stay would last for just 30 days if your previous bankruptcy case was pending within the preceding year but was dismissed. The stay from your current bankruptcy will simply not come into existence at all if two or more of your bankruptcy cases were pending within the preceding year but were dismissed. If your Chapter 7 case was dismissed for abuse and you file under a new chapter (such as Chapter 13,) you are not penalized, and your bankruptcy stay will have its normal duration. But you are not alone. The same path to bankruptcy relief is not taken by every individual. But within our current economic situation, common factors can push you over the brink. Our offices have decades of experience handling bankruptcies which stem from one or more common origin. You need to have an experienced professional represent your interests. Beware of boilerplate bankruptcy solutions, and the agencies which churn them out. Our offices custom tailor your bankruptcy filing to get the best solution for you. A poorly constructed bankruptcy filing can do more harm than good. Our office stands upon its reputation and experience over decades of filings. Changes to Bankruptcy laws occurred in 2005. These changes were significant and provide timetables for actions on your part. For example, you must complete your Consumer Education course within a specific time relative to your filing date. Failure to complete the training in the allowed time could result in the rejection of your bankruptcy filing by the court. Our offices know the timetables imposed on people filing for bankruptcy, and our advice will ensure you have a successful bankruptcy. Filing For Bankruptcy Without An Attorney. You can. But here is what the United States Courts itself thinks of the idea: "Bankruptcy has long-term financial and legal consequences - hiring a competent attorney is strongly recommended." In going forward on your own, you would be expected to be knowledgeable of the United States Bankruptcy Code and Federal Rules of Bankruptcy Procedure, and the local rules of the court in which your case is filed. We Represent People Like You.. There is no 'average' bankruptcy client. Everyone is unique, representing every socio-economic, age, gender, strata. Our clients are a rainbow of society: wealthy, middle-income, lower-income, young, experienced, male, female, tall, not so tall, etc., etc. Our clients have one thing in common, though, they are hard-working people. A lot of stereotypes about bankruptcy and the people who file exist, but our experience, not one is true. Bankruptcy is a legal action like any other and the action has been taken by a true cross-section of people. Protecting the financial interests of you and your family is a wise and prudent action. The courts do not view bankruptcy with a punative or suspicious eye. In fact, it is in the interest of society that those who have financial burdens are able to release the burdens they cannot escape on their own. The courts want everyone to be financially steady, and productive members of society. We Do Not Represent Creditors. 'The Law Offices of Richard A. La Cava and The Affordable Bankruptcy Center are unique because we focus exclusively on those in need of bankruptcy protection – not creditors. Richard A. La Cava is a recognized authority on consumer bankruptcy proceedings and the 2005 Bankruptcy Abuse Prevention and Consumer Protection Act ('BAPCPA'). He has lectured to audiences of attorneys and judges alike on the implications of this new and its complex set of statutes. Mr. La Cava is committed to helping consumers exercise their rights under the new law. With over 20 years of experience in the bankruptcy field, Mr. La Cava has been dedicated to helping thousands of individuals and small businesses recover from the burden of overwhelming debt. Your consultation with him will put your mind at ease. Knowing how bankruptcy can help your situation is the beginning to your full recovery. Mr. La Cava trained with the largest bankruptcy firm in San Diego before establishing his private practice in San Francisco in 1988. He is a member of the California Bar Association and the National Association of Consumer Bankruptcy Attorneys. NACBA is the only national organization of lawyers dedicated to protecting the rights of consumer debtors in bankruptcy. The Law Offices of Richard A. Cava offers a free consultation with the attorney. Bankruptcy can save your house. It is possible that, when you file for your bankruptcy relief, the mortgage holders who are trying to foreclose on your home will be required to stop all their actions. An Automatic Stay when granted through your bankruptcy will require all entities who wish to go forward with foreclosure or reposession to wait for your bankruptcy to be worked out first. This allows you the opportunity and time to allow the court to change the amount you pay each month, even completely wiping out second and third mortgages. When you meet with the attorney, he will be able to custom match your situation with the opportunities bankruptcy provides to save your home. The attorney has been working with people to save their homes for decades. It is possible that in coordination with bankruptcy, we can work with others to help you. 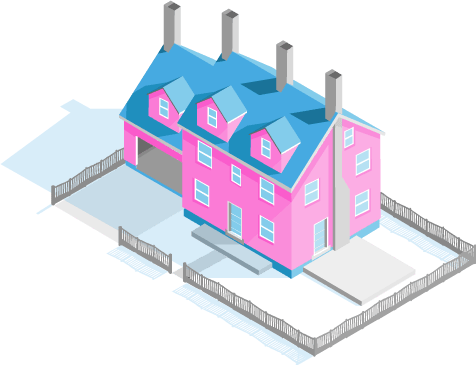 The Department of Housing and Urban Development (HUD) has a lot of information on saving your house. Some programs are more controversial (and helpful) than others. A good place to begin with HUD is their pamphlet "SAVE YOUR HOME: Tips to Avoid Foreclosure" It gives a super fast overview of what's out there. Real help to save you home is through bankruptcy. The Automatic Stay which prevents foreclosures from advancing is what can save your home, but there are a lot of scams out there which promise they can help, but that is not their real motivation. What you may not know is that there are also a lot of mortgage modification scams, too. The Office of the Comptroller of the Currency (OCC) has a good overview of scams to avoid. Many of the entities who will contact you if a foreclosure may be looming or a loan modification is pending are unethical and directly mean you and your family harm. The OCC has Consumer Warnings for avoiding mortgage modification scams and foreclosure scams. There are a lot of scams out there. As you know, a scam can ruin your future, so information about the scammers can help to avoid their schemes. The FTC has issued the Mortgage Assistance Relief Services Rule (MARS) to protect distressed homeowners from mortgage relief scams. Your Lender Won't Work With You. Join the club; you are not alone. We have helped many people who are attempting to work with their banks. Our offices do not offer mortgage modifications, we do, however, through bankruptcy provide the best reason possible for the banks to work with you. Your bankruptcy means the banks have to wait for your case to work through the courts and lets the banks know that you are serious about repairing the situation you are in. Bankruptcy cannot guarantee you will keep your home, it will offer you the best opportunity to rearrange your debt so you can afford to keep your home. You should know that there are HUD approved Housing Councelors you can speak with at (800) 569-4287. If you have a FHA Insured Loan you can call (877) 622-8525 or send HUD an email. 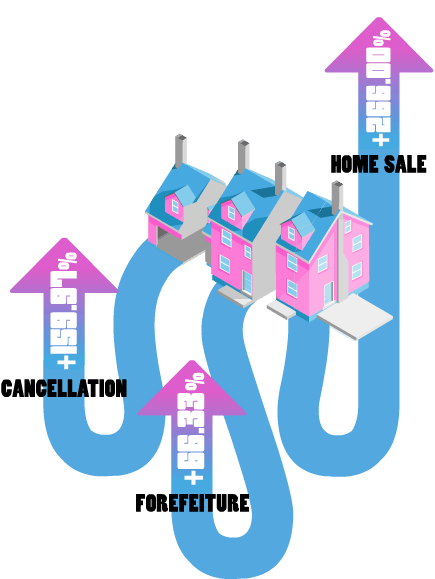 If the value of your house is less than your first mortgage, then your second or even third loans have become unsecured. When you got the loan they were secured against the value of your home. Now that value has changed. Bankruptcy offers the unique opportunity to completely wipe out your second and third loans if they have become unsecured loans. This opportunity of erasing your payments on your subsequent loans means that you can better afford your home. This change in your ability to afford your home provides many banks with the motivation to reconsider your loan modification. When you meet with Richard A. La Cava, he will be able to advise you about how bankruptcy can change what you owe on your home. If you choose to file a Chapter 13 bankruptcy, our office will complete and file a petition with a schedule of your assets and liabilities, a statement of your financial affairs, and your Chapter 13 payment plan. This plan provides for repayment of your debts over a 3 to 5 year period. Repayment is made from your foreseen future earnings over the length of the plan. The bankruptcy trustee appointed to your case will receive monthly payments from you. These payments will be disbursed by the trustee's office to those included in your bankruptcy who you owe. In a Chapter 13 bankruptcy, you will keep all your possessions. At the end of your repayment period you will receive a discharge of your debt. This means that your debts have been completely resolved, even if you have paid less than 100% of the original debt. Most people filing for Chapter 13 pay less than 10% of their unsecured debt over the life of their Chapter 13 plan. Some Debts Are Handled Differently. * Most of your student loans. * Specific child support payments. * Specific spousal support payments. * Debts which resulted from a drunk driving incident. * Most of your recent taxes which are less than 3 years old will have to be paid in full but with no accruing interest or penalties. Certainly you don't have to know the difference between different types of debt. That's why you hire a skilled bankruptcy attorney. In your free consultation, Richard A. La Cava will answer any questions about your debt including its type and how much you will likely be expected to pay towards the debt in a Chapter 13. Where Your Repayment Will Go. In a Chapter 13 bankruptcy, the payments you make to the trustee are disbursed by the trustee's office to the people you owe. These people will receive different amounts of repayment, depending on the type of debt. 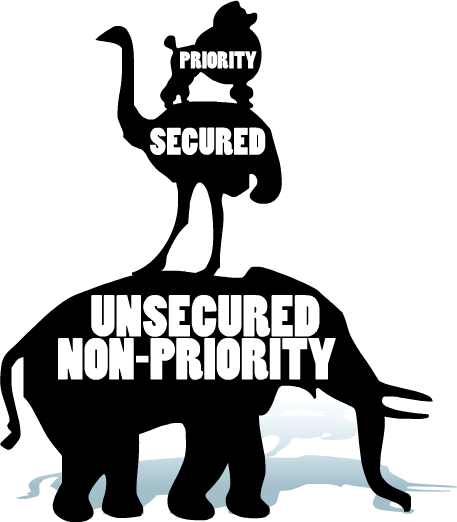 Types of debt are Priority Debt, Secured Debt, or Unsecured Non-Priority Debt. Your Priority Debt typically includes your taxes if they are less than 3 years old, and some kinds of spousal and child support payments you owe. Your Secured Debts could include real estate mortgage loans, car loans, and furniture and jewelry loans. If any of your property is used as collateral for a loan, then the debt is one of your secured debts. If someone you owe has recorded a lien against your property (for example, because they obtained a court judgment against you) then that debt is also secured. You may be able to wipe out this type of lien in Chapter 13 bankruptcy. You may also be able to eliminate your 2nd or 3rd Mortgage in a Chapter 13 bankruptcy if your home value is less than you owe on your 1st Mortgage. 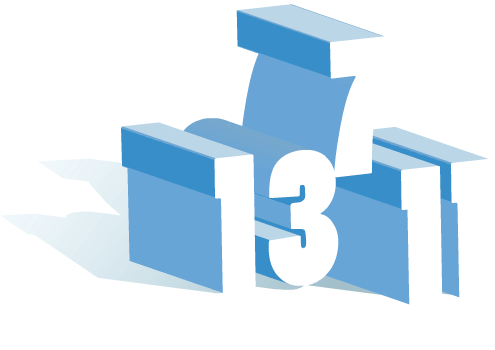 If you're behind on your Mortgage payments, your Chapter 13 Plan will repay your missed Mortgage payments up to the date you file for Chapter 13. If after you file Chapter 13 you again fall behind on your mortgage payments then a mortgage holder can ask to have your automatic stay lifted in order to repossess or foreclose on your property. However as long as you are current on your payments, you may be able to keep your property if you continue making your payments, and if the trustee determines there is not enough equity in the property to justify its liquidation. If you do not meet these standards, then Chapter 7 may be an alternative for you. Your Unsecured Non-Priority Debts might include your taxes from more than 3 years ago, your credit card debt, medical bills, and any personal loans you owe. Wow that's a lot to digest at once. If you have any questions or you want to schedule a consultation with Lacavalaw, call (415)282-8960 or use our Free Consultation form. I got your message last week and wanted to thank you for your patience and diligence in my case. I truly appreciate you and all the work you put into the issues. I have sent my tax return to Mr. Trustee. Let me know if you need anything. All of you have been very helpful. Well, I'm hoping I'll never have need of your services again, but will definately recommend you to those I come across who do. I think you went way beyond what most attorneys do.